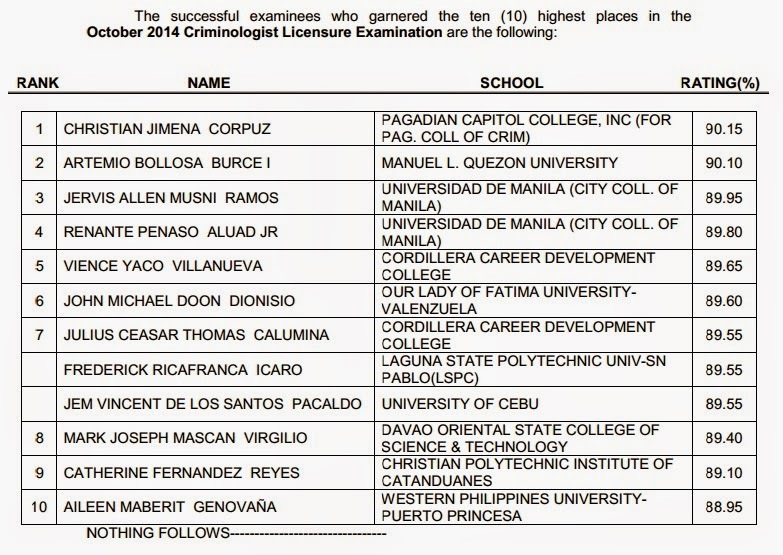 The Professional Regulation Commission (PRC) officially announced today, November 26, 2014 the full list of passers for the October 2014 Criminologist board exam. Christian Jimena Corpuz of Pagadian Capitol College, Inc. (For Pag. College of Crim) topped the board with 90.15 percent grade. Artemio Bollosa Burce I of Manuel L. Quezon University placed second with 90.10 percent grade.